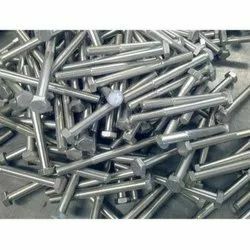 We offer Alloy Bolts a significant amount of reputation in Manufacturing and exporting of alloy bolts, t-head bolts, brass t-head bolts, eye bolts, copper eye bolts, lifting eye bolts, stainless steel lifting eye bolts, mushroom head square neck bolts and brass mushroom head square neck bolts. We are engaged in offering a distinctive range of Alloy Steel Reducer to our high valued customers. These are fabricated in accordance to the set industry norms to assure optimum performance at the users end. Ensuring these are in line with all the global quality standards, they are subject to stringent quality tests by our professional quality analysts. Engineered using premium grade raw material, these products find their application in various industrial segments. We are engaged in offering a unique range of Alloy Steel Screws that is sourced from certified and trusted manufacturer to ensure its industrial quality standards. These widely find its application in various industries across the world for its smooth performance and long serving life. We offer these to our respected customers at market leading prices and as per their requirements. The Alloy Steel Nuts are the products that our company exports across the globe. These products are widely used in different types of motors and machine. These products are available in various sizes and are easily available at an affordable price. These are highly effective in all the industrial sectors. The Alloy 20 nuts are made up of high quality raw materials and are fabricated as per our clients’ specifications. Alloy Washers can be manufactured as per your requirements in different alloy steels such as Haste Alloy, Monel steel, Titanium, 904L, Duplex etc. We supply a wide range of high quality Stainless Steel Coupling. These products are specially procured from the top manufacturers, and they are known for high quality, durability and resistant to corrosion. And we have a team of talented professionals who checks and tests on various required parameters to ensure that they comply with the industry standard. These products are applicable for various renowned vehicles, such as Tata, Leyland and Swaraj Mazda. In addition, we also offer product customization, and they are available at affordable prices. 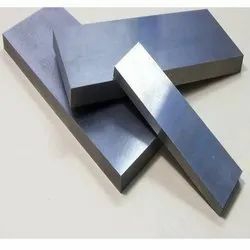 We provide Alloy Steel Plates which are used in various chemical industries and are designed to provide better mechanical properties and greater resistance to atmospheric corrosion than conventional carbon steel sheets. 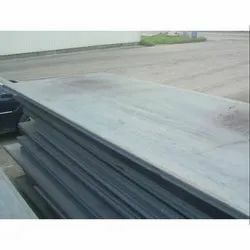 Alloy Steel Plates are available in various grades. We hold specialization in offering Alloy Steel Plates. Developed with high-grade basic material, these offered products conform to the defined parameters of the industry. These products are available with us in different technical specifications suited to the divergent demands of the clients. We are providing our valued clients with quality assured ASTM Alloy Steel Plates. These presented pumps are fabricated using premium quality raw material , sourced from the reliable vendors of the market. The offered plates are widely used in engineering and allied industries for the fabrication of various components. Our valued clients can avail these plates in different specifications and sizes (120 mm x 120 mm and 130 mm x 170 mm) as per their requirement. We are engaged in offering a commendable gamut of ASTM/ASME Alloy Steel Plates. These products are fabricated by making use of supreme quality required basic material, procured from the accredited vendors of the industry. the offered products are in conformance with the defined parameters of ASTM/ASME, signifying their high standards.